It’s a common questions we get asked: Should I stop fertilizing in winter? Well, yes and no — it depends on your garden lifestyle. It’s a common questions we get asked: Should I stop fertilizing in winter? Well, yes and no. If you’re using synthetic plant fertilizers, then you definitely need to stop applying them to your lawn and landscape by early fall. The heavy doses of Nitrogen they contain will encourage a flush of new green top growth. This new tender foliage is much more susceptible to cold damage. If you apply synthetic plant fertilizers too late in fall, you’ll be putting your plants in jeopardy of heavy freeze damage and stunted growth. Organic fertilizers tend to have much lower Nitrogen concentrations, usually less than 9%. You can use organic fertilizers on your landscape later in fall than you would synthetic fertilizers. As we head towards winter, the goal is to feed the soil and improve root development rather than new leafy growth. While it may seem like many plants are dormant in the winter, most will continue putting on new root growth in our relatively mild winters. When you’re feeding the soil with products like compost tea extract, you can continue applying them through the winter. Cool-season plants and edibles will continue to grow actively during our winters. Vegetable crops like lettuce, kale, broccoli, collard greens and other edibles will benefit from small amounts of fertilizer through the even the coldest months. It’s good to remember that you’ll often treat and feed your vegetable garden differently than the rest of your landscape. In winter, we focus on feeding the soil to encourage beneficial microorganisms that aid in the uptake of nutrients to your plants. Our treatments also help to break up our heavy clay soil and create a texture that is more manageable for healthy root growth. Our goal is to build a healthier soil that can better support your plants; not create a weak soil that needs continual inputs of synthetic fertilizers. Studies show that plants grown in soil overly fertilized with synthetics are often deficient in iron, zinc, carotene, vitamin C, copper and protein. 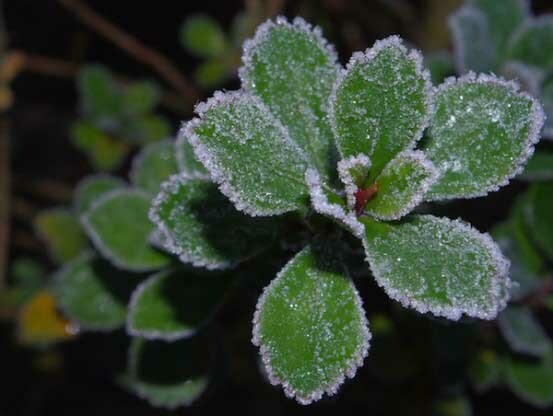 Here at Soils Alive, while we won’t apply high Nitrogen fertilizers that could damage your plants, we will continue to feed the soil through the colder months. So don’t be surprised if you see our trucks around town in December and January! If you are on our Soil Building program, we’ll be feeding your soil in December and January with Liquid Compost and 12% humic acid that includes worm castings for a biologically active inoculum and soil conditioner. All you’ll need to do is be sure to water properly through winter, reduce mowing and add mulch to garden beds to keep roots warm. Ready to get with the program? Give us a call today to be on your way to a stronger, healthier lawn and landscape.